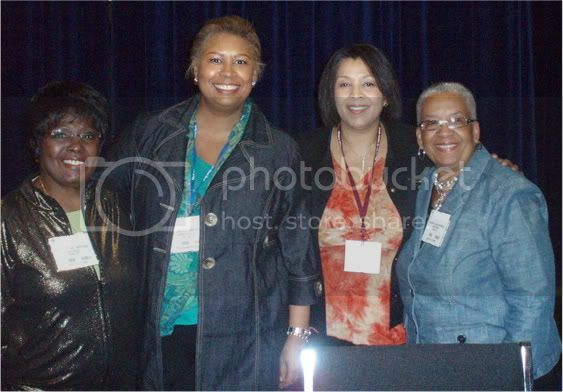 Here we are at BEA '09 on Friday with Peggy Brooks-Bertram and Barbara A. Seals Nevergold, editors of Go, Tell Michelle--African American Women Write to the New First Lady. They're Virginia's homegirls/women!! Yea! Buffalo Yea!! I enjoyed their book. Very emotional reading.